Massage chairs have made getting a massage super easy. Gone are the days when people rushed to the spas to get massages. There is no longer the need to spend big bucks. All you have to do is just purchase a massage chair. Today, in this review we look at the best Inada massage chairs. We will give you an insight about the cool features of massage chairs by Inada. So if you’re planning to buy an Inada massage chair, then you better give this a read. Lack of thoracic and lumbar heating. True comfort, convenience, and an amazing massage experience come together with the Inada HCP- S373. The name says it all as the Flex 3S feature offers true flexibility to match to the natural contours of your spine. The Flex 3s provides a combination of stretching techniques and traditional Japanese massages. This feature is only available with the Inada hcp-s373, and no other massage chair comes even close to this. And not only does the Flex 3s deliver a muscle relaxing stretch but it also rejuvenates the natural curve of your spine and improves posture and mobility. It ensures that the abdominal muscles are engaged, strengthening the core and improving breathing through the diaphragm. The chair comes with a full body air massage feature, plus air massage kneading from head to toe. This feature can remedy the painful knots and makes you feel relaxed after the massage. The shoulder focus program is one of a kind and delivers gentle air compression to the collarbones which relieves stiffness and betters the posture. The kneading intensity is controlled through an adjustable air cell. The massage rollers have a hybrid function, that is, they combine roller massage with air massage so that your massage experience is a truly great one. It is further enhanced with the heat option, which delivers warm and radiant heat to the fingers and toes, ideal for relaxation after a long day. The Mechanical Arm 3D Mechanism ensures that the massage rollers cover every inch of the body perfectly making your massage experience a complete one. There are four pre-programmed massage routines incorporated in the chair namely Full body and stretch, stretch all, full body and low body. But the user can also make unlimited customizations depending on their need and desire. The chair is made from synthetic leather which makes it very durable and super easy to clean. Quiet functioning making massage session peaceful. 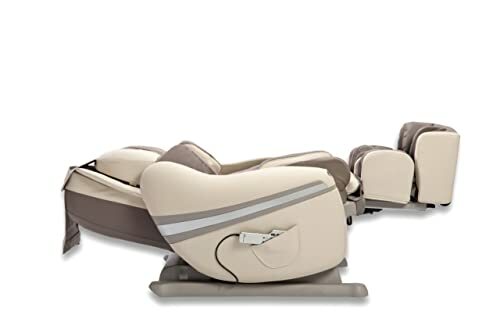 The Inada Sogno Dreamwave massage chair is a dream-come-true. 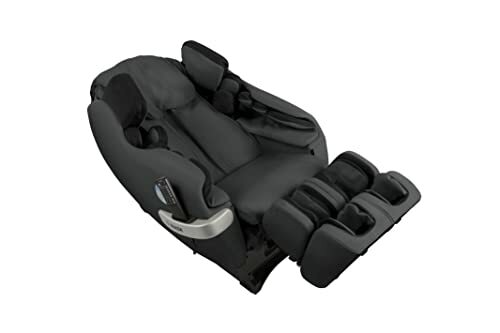 It provides a massage-coverage of around 1200 square inches making it a massage chair with the broadest coverage. This chair lets your whole body relax into the goodness of Shiatsu massage. The chair reclines to zero gravity. It puts the body in an astronaut like position and improves blood flow and air entry into the body. This feature also makes the whole spine experience a healing stretch perfect to release and soothe tense muscles. The Inada dream wave technology delivers an undulating figure eight motioned massage. It mimics the motion of the massage given by a professional massage therapist. The Inada Sogno Dreamwave has a complete stretch function incorporated into the chair. It makes sure that the whole body receives an adequate stretch, flexion, extension and rotational stretching of the shoulders, mid-back and the hips. This ensures that the whole body is taken care of when the massage session starts. It has eight pre-programmed massage sessions built into the chair, including a healthcare program and revolutionary morning and nighttime programs. These are all at the user’s disposal and can be used according to need and desire. A unique feature of the Inada Sogno Dreamwave is the Youth massage session. It is specifically designed for children who are around fourteen years of age and would want to make use of the healing massage technology of the Inada Sogno Dreamwave. The massage chair is not at all noisy and just produces a minor hum which is not at all obtrusive during the massage session. The chair comes with an easy to follow instruction manual and an assembly video which makes it very convenient to put the chair together. The synthetic leather body of the chair makes it easy to take care of spillage while making it durable too. When not using this chair for massages it can be used as an armchair or a recliner. No ideal for tall persons. The third and final massage chair which has made it to the best Inada massage chair list is the Inada Nest Massage chair. The chair comes with a 3D LR differential massage technology. This feature provides independent, multidimensional massage movements to the right and left sides of the spine delivering a super soothing effect. The rollers of the Nest are reengineered making them one of a kind. The rollers are designed to be bumpy and knobby so that they can hit acupressure points on the whole body. 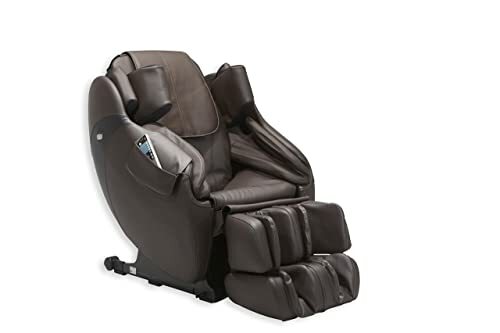 The chair also has the ability to deliver a targeted calf and anterior shin massage which relieves any tension and tightness in these areas which are difficult to access by a regular massage chair. The Nest delivers a smooth full arm massage which is segmented, sequential and designed specially to enhance the circulation of blood all through the arms. This way oxygen is delivered to the arms in a better manner and toxins are adequately removed. The chair has eleven pre-programmed massage sessions and sixteen manual massage sessions to choose from. These can be mixed and matched creating around three hundred possible massage combinations. The chair also comes with an easy-to-use remote which can be easily stored and is quite accessible too.